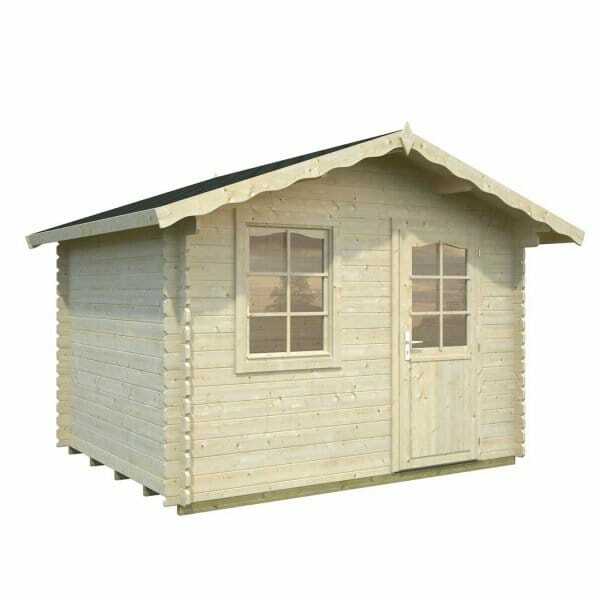 Palmako Emma 4.6m²: The Palmako Emma 4.6m/sq is an ideal smaller log cabin offering a number of potential uses. With the 28mm Walls and superbly manufactured windows and doors the Palmako Shetland can be a high quality and attractive storage shed or even be a small office in the garden. The window and door in the front wall of the Palmako Shetland Log Cabins can exchange places during the build if you wish. In common with all of our cabins - unless otherwise stated this cabin is delivered UNTREATED. Doesn't include: Internal Fencing or Goats!